The crew from the doomed Ethiopian Airlines flight which crashed last month killing all 157 people on board, performed all emergency procedures but could not control the Boeing aircraft, a preliminary report revealed on Thursday. 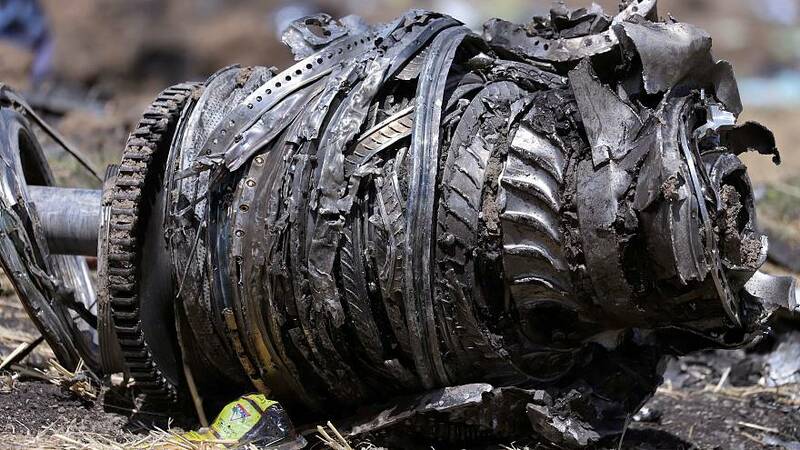 "Despite their hard work and compliance with the emergency procedures, it was very unfortunate that they could not recover the airplane from the persistence of nose-diving," Ethiopian Airlines said in a statement following the release of the preliminary report. In line with international rules on air incidents, the preliminary report did not attribute blame. But authorities issued two recommendations for regulators and American manufacturer, Boeing. Transport Minister Dagmawit Moges told reporters that "since repetitive uncommanded aircraft nose down conditions are noticed ... it is recommended that the aircraft control system shall be reviewed by the manufacturer." Authorities said however that it would take another six to twelve months to determine whether there was a structural issue with the plane. The Ethiopian crash was the second deadly incident of a Boeing 737 Max aircraft in just five months, raising questions about its safety and prompting authorities in several countries to ban the model from its airspace. Initial findings from Indonesia's Lion Air crash, in which 189 people died in October 2018, said pilots had had difficulties with the plane's Maneuvering Characteristics Augmentation System (MCAS) which was designed to enhance the aircraft's pitch stability. Boeing announced on Wednesday that it had developed software updates to "prevent erroneous data from causing MCAS activation."